Games & Activities team- organize and host an activity for the children during the event such as face painting, ring toss, etc. 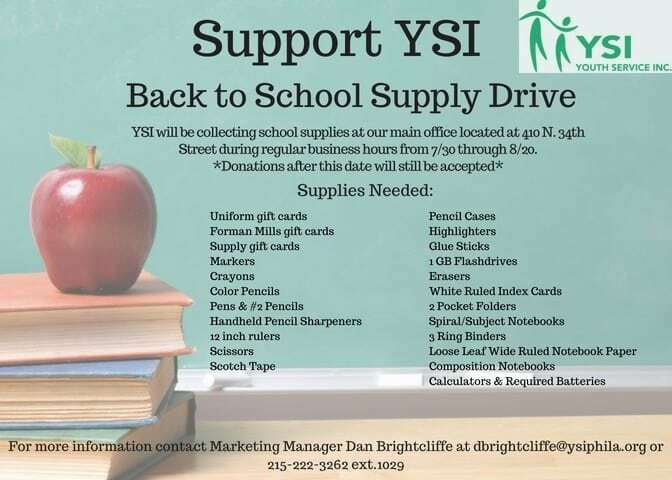 If you would like to participate as a volunteer please contact YSI’s Marketing Manager, Dan Brightcliffe at dbrightcliffe@ysiphila.org . Thanks in advance for your support during this event.